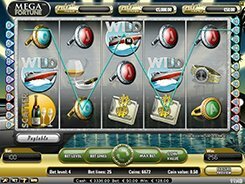 Dazzle Me is a 5-reel slot that has a classic look but a modern twist with some of NetEnt’s advanced features and a very uncommon reel configuration. Instead of a standard 5x3 layout, you get a 3x3x4x4x5 reels model with 76 fixed bet lines. 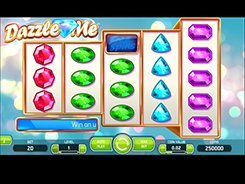 The wagering options used in Dazzle Me will appeal to players on a budget and high rollers alike as a bet size can be adjusted from $0.01 to $200 per spin. On the reels you will come across classic gems, bells, sevens and diamonds. 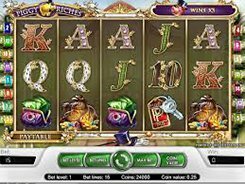 The slot is equipped with scatters, free spins, the Linked Reels feature and the Dazzling Wild Reels feature. 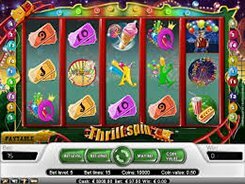 Three or more scatters landed anywhere unlock 8, 12 or 16 free spins with the Linked Reel feature – at the beginning of every free spin you will get a set of reels with identical symbols on them which will boost your chances to win big. The other iconic feature known as Dazzling Wild Reels will turn one or more reels into wilds for truly massive coin awards!